The affordable smart home system. MyPlace makes smart technology affordable by working with your existing items in your home such as lights, garage door, fans and blinds. It comes in modular form allowing you to add more at any time to enhance your connected home. Your MyPlace Android touchscreen allows you to control your home through one simple integrated system, and day-to-day family life through one dedicated tablet. Being hardwired to the wall, it never needs recharging and never goes missing. With the MyPlace app, you can control your products from the couch, from work or from the other side of the world. It works with most smartphones and tablets and turns them into additional remote controls. There’s no need for expensive specialist cabling. MyPlace connects to your existing wiring, making it easy for your electrician to install in new or existing homes. Smart home technology is fast becoming a must have. By installing MyPlace now, you get to enjoy the comfort and control of living in a connected home. And if you decide to sell, your home is even more appealing to buyers. MyPlace is made by Advantage Air – an Australian-owned company committed to designing and manufacturing in Australia, where possible. From R&D to after sales support, we’re here to ensure you get the most out of your smart home system. If you are building a new home, let your builder know you want MyPlace, contact one of our partner builders here or contact us for more information. If you’re in an existing home, go to the next step. Talk to us about how MyPlace will transform your home into a smart home. Our team of caring specialists will provide you with a free, no obligation connected home design. They are ready to help you now. Installation is simple. The MyPlace system sits in line with your existing wiring making it easy for your electrician to install as part of your new home build or retrofit into your existing home. MyPlace scheduling makes day-to-day life easier, it is simple to use and set up. Schedules will allow you to switch items on and off automatically either when you are away or at home. It can save you money, make you feel secure, or just make life easier. Easy-to-use buttons ready for you. MyWelcome and MyGoodbye allow you to switch off multiple items with the press of a single button. 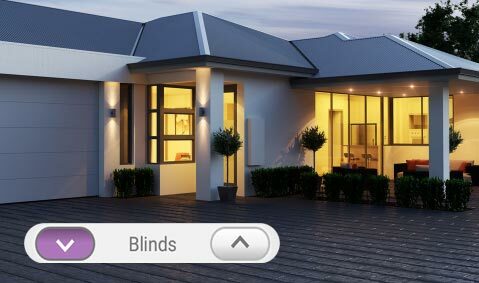 MySunset give you peace of mind, switching on your lights automatically when the sun goes down. When you’re in a rush, it’s easy to forget to close the garage door. If it’s been left open, MyPlace sends you a notification. You can then use the MyPlace app to close it with one simple tap. It takes time for air-conditioning to effectively cool or warm a house. 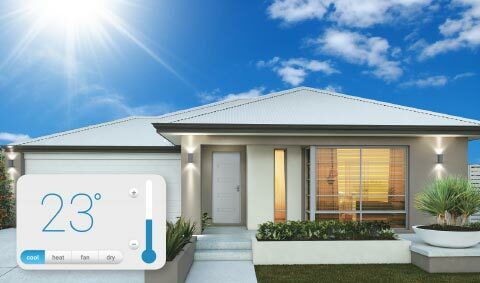 By using MyPlace to turn it on before you get home, you always arrive home to your preferred temperature. With MyPlace, your home always looks occupied. By controlling the lights and blinds, you can make it look like you’re home, even when you’re on the other side of the world. Entertaining alfresco? MyPlace helps you show off your place to its best. 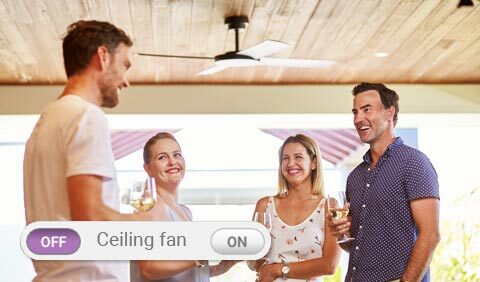 With the MyPlace app, you can use your phone to turn on the mozzie light, ceiling fan or outdoor lighting. When you hear a disturbance, or you arrive home in the dark, you can instantly turn on all your lights from your smart phone using the MyPlace app. 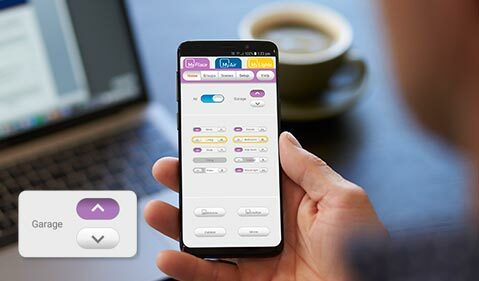 With MyPlace, you can control most 240 volt hard-wired products that are already in your home, turning it into a smart home that suits your lifestyle. Why MyPlace for your connected home? MyTeam, our friendly, patient humans who are right here in Australia. 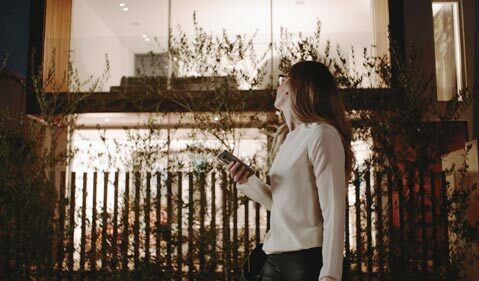 They are there to answer any questions you may have before, during and after your purchase so you can enjoy the benefits of a smart home. We designed MyPlace for everyone, it works off your existing wiring and controls items that you already have in your home or wish to add in the future. With MyPlace there’s no need to purchase specialist smart products that can quickly become outdated. MyPlace has been designed with the flexibility to grow with you. As it works by controlling on/off relays, if you wish to add more products you simply add more modules of 6 now or later.